You’ve had 5-plus years of waiting. Wait no more. The loud and the proud returns to Manhattan with the NYC debut of MANITOBA. 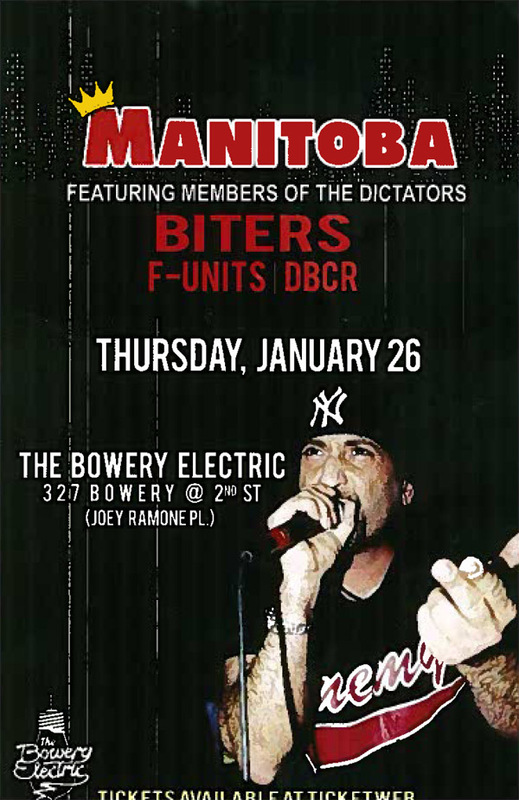 Tomorrow night’s gig at the Bowery Electric is just about sold out. There are only a few walk-up tickets left, so get there early. One sea change for long-time followers: the Ross side is now on JP’s right, instead of his left. I know, I know, it’ll take some getting used to. But if we’re lucky, we’ll get the opportunities to make it seem like old hat.